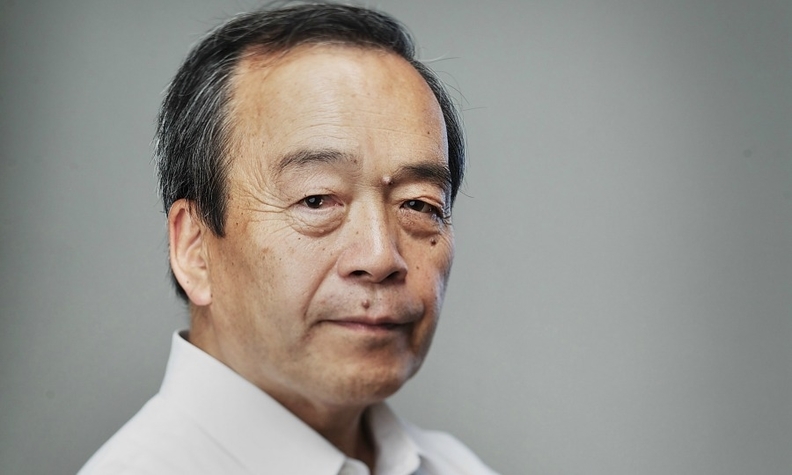 Toyota Chairman -- and Prius father -- Takeshi Uchiyamada sees a bright future for the niche he helped create. The father of the original Toyota Prius has high expectations for the segment he helped create. ''I foresee hybrid models pretty soon reaching 20 percent of global sales from about 13 percent to 14 percent now,'' Toyota Chairman Takeshi Uchiyamada told Automotive News Europe. That number was unfathomable to Uchiyamada in 1993 when he was put in charge of a small Toyota Motor Corp. group called Project G21, which was tasked with creating a 21st century car. “My team proposed to top management that we design a vehicle that would achieve one and a half times better fuel consumption than anything that existed before,” Uchiyamada said. Toyota’s top management wasn’t satisfied and told the Project G21 team: “Double it. You are not being ambitious enough,” the 67-year-old executive recounted during a recent visit to Milan, Italy. Twenty-one years and more than 6 million Toyota and Lexus hybrids later, Uchiyamada knows he and his team achieved their mission. While hybrids are key players in the U.S. and Japanese markets they remain niche products in Europe. Combined sales of gasoline-electric, diesel-electric and plug-in hybrids in Europe rose more than 40 percent last year to 214,237 units, according to JATO Dynamics, but that resulted in an overall market share of less than 2 percent. To put it another way, Toyota’s 2013 U.S. sales for the Prius (234,228) topped the overall volume in Europe last year. The reason is that many diesel powertrains offered in Europe can match or beat the fuel economy of a hybrid at a lower starting price. Despite the struggles in Europe, Uchiyamada is so bullish on hybrids that he said his sales prediction excludes the plug-in hybrid, which is a technology that Volkswagen Group, which ranked second to Toyota in global sales last year, is betting on heavily. During an interview with Automotive News Europe sister publication Automobilwoche last year, VW Group CEO Martin Winterkorn said that of all the alternative powertrains being developed for today’s cars “the plug-in hybrid has the greatest potential.” VW Group plans a number of models with the powertrain, including the Audi A3 E-tron that debuts this year. One factor that Uchiyamada sees holding back plug-in hybrids is their cost because of the initial low volumes. “Suppliers need higher volumes to slash costs of components specific to plug-in models, including batteries that should be bigger and more capable than the ones used in traditional hybrids,” he said. Globally, Toyota and Lexus sell 25 hybrids. Only one is a plug-in model. When discussed today, the development of the Prius seems like a smoothly executed project that is ready to be chronicled as a success story in business management books, but the car’s birth was challenging, Uchiyamada said. Toyota unveiled a concept model that had an early version of its gasoline-hybrid powertrain at the 1995 Tokyo auto show. Uchiyamada’s team was encouraged by the positive reception given to their research project. At the same time, he was nervous because participating in the show meant that the only existing complete prototype of the vehicle was out of the lab for almost three weeks.